Date & Time: 2016/6/2 (Thu) 3:30 p.m. – 5:00 p.m. 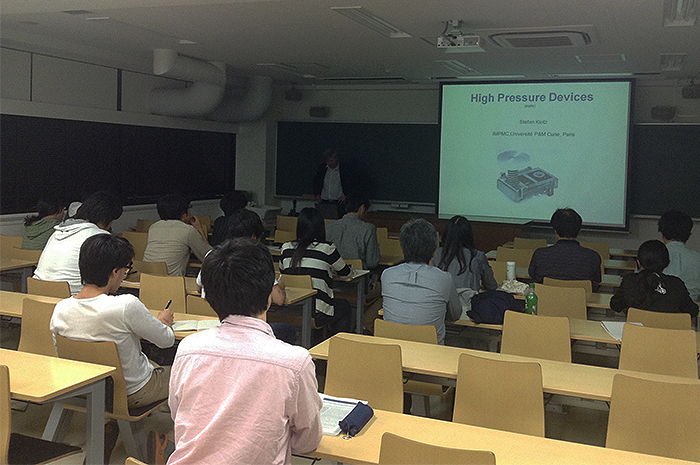 Title: High pressure devices and typical applications. An introduction. Date & Time: 2016/6/9 (Thu) 3:30 p.m. – 5:00 p.m. The noble gas composition of the depleted mantle is a mixture of three components: a radiogenic component, produced by the decay of noble gas parent nuclides, a primordial component, introduced during Earth’s accretion, and an atmospheric component, associated with the subduction of hydrothermally altered slab materials. 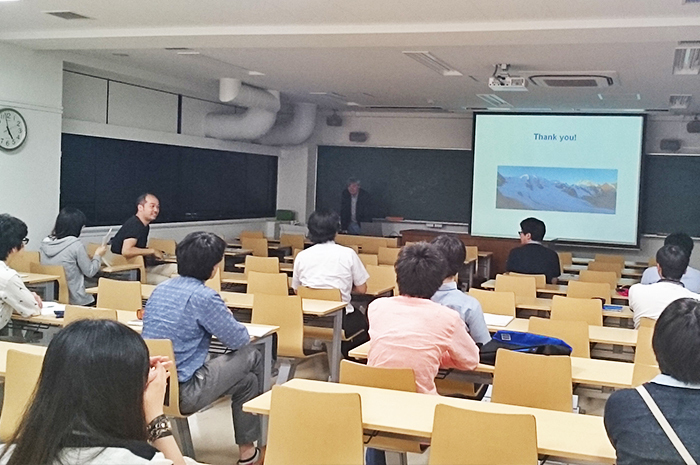 This talk seeks to understand 1) the contribution of recycled oceanic crust to the atmospheric component of mantle noble gases and 2) the relative proportions of atmospheric and primordial components in the mantle noble gas budget. I will specifically examine the behavior of Ne during subduction. This examination allows further insight into how the thermal state of the slab affects the composition of noble gases recycled into the mantle and the ultimate source for primordial volatiles in our planet. Date & Time: 2016/5/30 (Mon) 3:30 p.m. – 5:00 p.m. Oxygen is the only elemental molecule which carries a magnetic moment, and the resulting intermolecular interactions are of similar magnitude as the van-der-Waals forces. This leads to a profound modification of the low-temperature phase diagram compared to other diatomic elemental molecules. 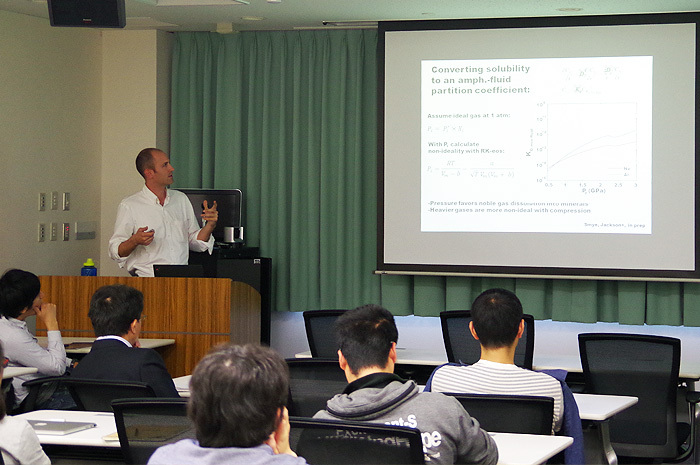 In this talk I will review the structural and magnetic properties of solid oxygen in the 0-10 GPa range, derived from recent neutron scattering measurements. I will then present unpublished Raman measurements which probe low-energy excitations in alpha-O2 and delta-O2 as a function of pressure and temperature. These results testify from an unusually strong spin-phonon coupling in solid oxygen and clarify many of the hitherto unexplained features in the phonon spectrum of delta oxygen.